Diverse Tech Staffing strives to set itself apart from other staffing firms by committing to the people we work with. Whether you are an associate working for us or a client working in partnership with our company, your staffing solutions and goals are always our priority. We work with you to establish which staffing solutions work best for you, what you are looking for in an employee, what your company goals are, and how we can provide you with the best solutions. 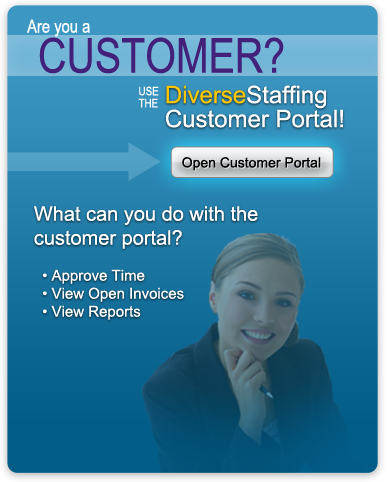 We take the time to get to know every applicant through our customized hiring process. By doing this, we are able to ensure that the candidates we do send you are going to be great fits for position and your company. That’s the Diverse Tech Staffing difference. We treat every client and their needs individually, and tailor our processes to meet your company’s culture, staffing needs, and requirements. 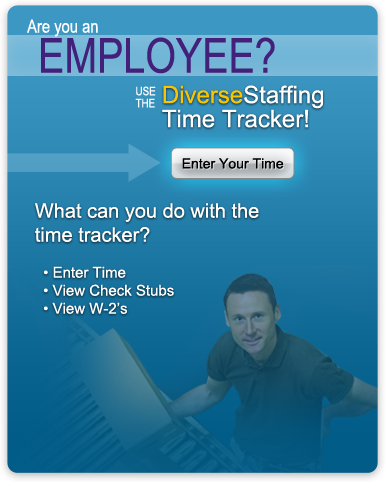 Diverse Tech Staffing works with you to set standards and create custom evaluation, onboarding, and retention programs. We do all of this in an effort to make the best matches between clients and associates.